Artificial Grape Bush Trail: exquisitely life like designed faux Grape Bush Vine with grapes, are a great replica! Material: silk green trail with grapes. 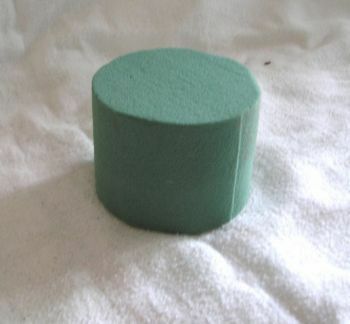 Made using quality materials ensuring a robust built. Comprises a single long stem split into multiple strands. Available size: 80cm in height, includes stem. Consisting of one long and multiples short stems. 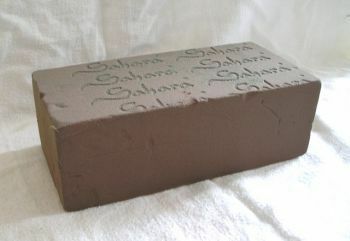 Perfect for use on window boxes and hanging baskets. Design highlights: this fake Grape Bush is realistic and lifelike design with refined shades for a complete floral touch. Great for use indoors or oudoors! 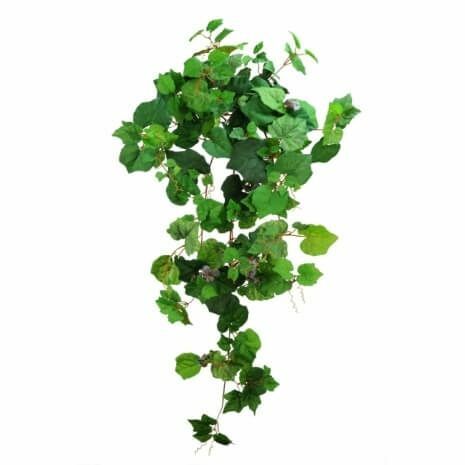 The Grape Bush Vine trails with grapes from Just Artificial are great for use for home and office decor. The decorative plant promises durability along with a natural look. 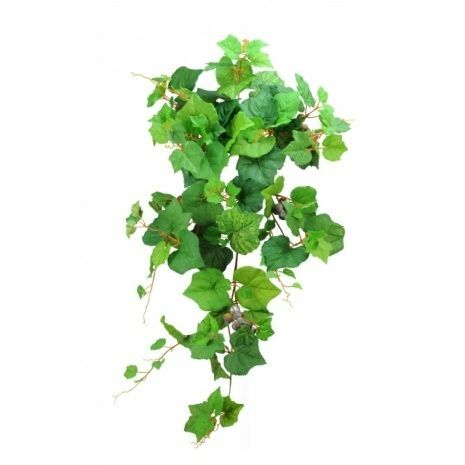 All the leaves and grapes of the faux decorative plant are made up of high quality materials, so that it does not lose its charm over the course of time. A great alternative to real flowers. Perfect if you can't have a live plant, but still want to enjoy/appreciate the beauty and elegance of nature. The easy accents of the artificial trailing plant will add an infinite amount of texture and elegance to both indoor and outdoor arrangements. Its lifelike detailing immediately invokes a sense of natural harmony and creates a remarkable impression. Our lovely Grape Bush 3 Pack is a great replica of the real thing. You get 3 individual Bushes at 80cm tall each (inc Stem) for the unit price. Multi Buy Saver Value Packs Product Information: This product is sold in a multiple quantity as per the product description. It will be stated how many pieces/units you will get per product bought, for example if it is a 6 x Multi Saver Pack then if you buy Quantity x 1 you will get 6 pieces/units of that product for the price shown, if you buy Quantity x 2 you will get 12 pieces/units of that product for the price shown and so on. We have hand picked some select items that we feel are the kind of items for larger projects and bulk buying and made them have multiple pieces/units ie 3, 6, 12 etc for a set discounted price. Some of these may also have special offers in addition to this. We can offer this because it saves on picking and re-packing time and packaging waste, so we can pass those savings on to you. Please note we cannot split Multi Packs or mix and match different products within a Multi Pack, it must be a set number of that product as per the listing.